Originally published June 15, 2010 — What’s not to like about retiring to a place on or near the water – except maybe the price that usually comes with that lifestyle. Until the polar icecaps melt some more, no one is making any more ocean front property, which means that as a rule only wealthy people can afford to pay for the privilege of watching the sun come up and down over the water from their front porches. Fortunately for the careful shopper though, there are different kinds of waterfront, some some of them affordable. The first place we started when researching this article was our own Retirement Ranger. When we took our free, 10 question quiz we tried to keep it simple – we specified only 2 environmental selections – “coastal” and “lakefront” and “lower than average” cost of living. The Ranger came back with 100 choices in the USA, from which we chose 11 for this article. Lakes with big coastlines offer some of the biggest waterfront bargains. Likewise, towns near rivers and bays can offer spectacular views or quick water access without spending mega-dollars. Finally, if you choose a place on the ocean that is far from a big city or in the right region, you might be able to snag a relative bargain. We urge you to use the Retirement Ranger and search on this and other sites for more ideas. Prices are from Zillow unless otherwise noted (the U.S. Zillow Home Value Index was $192,500 in late 2016). Insurance costs do tend to be higher near the ocean, so that is a factor to be considered. – Boynton Beach FL – Boynton Beach has always been the step-child to its more prosperous neighbors like Delray Beach and Palm Beach. It’s the same ocean, just a few miles north or south. Boynton Beach had a real estate meltdown in 2008 but has come back since, although not as much as nearby towns on the coast like Boca Raton. The median home price in 2010 was $150,000 (houses/condos close to the water were more), but that had increased to $224,300 by late 2016. There are many communities not far from or even on the beach that the careful shopper can choose from. – Leesburg, FL – This waterfront town in central Florida boasts 6 public beaches on 3 lakes, plus a yacht club. The centerpiece of the town is a former WPA project, the Venetian Gardens Waterside Park on Lake Harris. There is a community college plus a number of active adult communities to choose from. Zillow Home Value Index was $152,400 in late 2016. – Myrtle Beach, SC – Myrtle Beach remains a bargain for a community on the ocean. 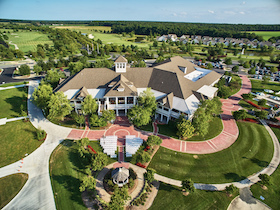 It offers low-cost housing, 120 golf courses, and of course – the Grand Strand, a great sandy beach that runs uninterrupted for almost 60 miles – from Pawley’s Island in the south to North Myrtle Beach. The median listing price on Zillow was $160,000 in late 2016. – Port Charlotte, FL – An amazing 40% of the homes in Port Charlotte have water access, thanks to a maze of canals and estuaries, complete with hundreds of species of marine life. There are dozens of active adult and 55+ developments /neighborhoods to choose from. The Home Value Index was a bargain at $164,500 in late 2016. – Lake Eufaula, OK – This area in east central Oklahoma is a popular resort and a low-key, relaxing retirement spot. Lake Eufaula has approximately 143,000 acres of water and over 600 miles of shoreline. Average home prices were $113,000 in late 2016. 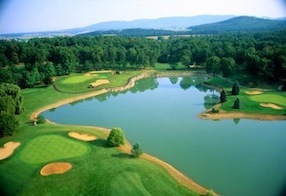 – Paris, TN – Paris is situated between 2 giant lakes, one of them being among the largest man-made lakes in the world. Paris is a small town of about 10,000 in northwest Tennessee, 15 miles from the vast and popular Land Between the Lakes recreation area. The Zillow Home Value Index was $95,200 in late 2016, about half the U.S. value. – Murphy, NC – The downtown is beautiful with tree lined streets and many historic buildings restored to their original state. The climate is mild and the scenery is breathtaking with mountains, lakes (several large ones like Lake Hiwassee), and streams. You can find a range of homes from the low to high $100’s, with the 2016 Home Value Index at $145,000. – St. Petersburg, FL – St. Pete offers a happy compromise in a very livable city,with many desirable neighborhoods and plenty of culture and recreation. Since St. Pete is on a peninsula between Tampa Bay and the Gulf of Mexico, almost everything is near the water. Prices were in the low $100’s in 2010 but the NAR media sales price in the Tampa/St.Pete/Clearwater Metro was $205,000 in late 2016 (prices in many St. Pete neighborhoods/communities will be less, more in others). – Toccoa, GA – This small town on giant Lake Hartswell in northeastern Georgia has about 8500 residents. Athens is 50 miles away. The median listing price in 2016 was $150,000. (In the first edition of this article we listed Blue Ridge, GA, but it is no longer as affordable as it was). – Port Isabel, TX – Port Isabel is a beach town and a popular resort, as well as being a retirement destination. Fishing, beach going, and relaxing are popular activities. The area is quiet and the weather is warm in the winter. The Home Value Index was $131,200 in 2016. – Hayesville, NC – Lake Chatuge near Hayesville has over 130 miles of shoreline, much of which can never be developed. The artists’ community in Hayesville is diverse and growing, which gives the town another dimension. Home prices tended to be in the high $100s in 2016. – High insurance costs. Particularly in Florida, hurricane and flood insurance can be very costly and hard to get. One recent study found that waterfront property is appreciating at a slower rate than those away from the water. – Natural disasters. Related to above, it is no fun to be evacuated or have your home destroyed. As one of our commenters noted below, hurricanes are a very real threat to just about anywhere on the coast. Some towns have been hit over and over again. – Man made disasters. The oil spill in the Gulf points out the type of disaster that might await many Florida, Louisiana, and Mississippi owners of property on the waterfront. – Taxes. Waterfront properties tend to be worth a lot and appraised accordingly for taxes, so your property taxes will be higher than comparable homes inland. Give us your suggestions for affordable places to retire on the water. Or throw cold water on ours, for that matter. Use the Comments section below – we would love to hear from you. You missed the boat on this one. Part of the Cost of Living includes insirance and nearly all of the waterfornt locations you selected are in hurricane pronae areas, thus high insurance. Also, you forgot about humidity. While the locations you selected might be nice in the winter time, they are nearly unbearable in the summer and also have high electric costs for air conditioning. You completely missed the western half of the country. The west has many waterfron locations that are very affordable and yet are low humidity in the summer. The west tends to cool off at night and thus has a much lower AC requirement. When running through your list, other than the coastal locations, snakes kept creeping into my mind’s eye. Don’t think that would work – never relax. When you take it, choose “No preference” for all questions where this is an option – except the question for “Environment” (select “lake” and “coastal”) and the question for “Cost of Living” (select “Lower than Average”). When you get the email you will see the results, or just click on the “Recent Results” link at top left, after you take. You can then retake with more selective criteria to narrow it down. Good luck! Boynton Beach is such a great place to live. You are correct in saying that Boynton is the step-child of Palm Beach but in my opinion it’s one of the greatest places to live. If you can find great water front property (because now is the time) and you have the money to invest go for it. There are some killer deals out there. I live in the Seattle area and am moving to Oregon at retirement… There are some lovely areas near both rivers and ocean there but no west coast towns are mentioned! Why is that? What about great water views? Being on the water has all the drawbacks mentioned above, but living back from the waterfront – yet with a view – eliminates at least some of them, and the housing will be somewhat less as well. So how about a list of affordable water views —- that includes the west? What about Cape Cod Massachusetts? To Sally- could you share your favorite location(s) in Oregon? I’d like to consider the area as well. To Bill: the Cape is a wonderful place to retire and although MA was on the “worst state list” I think there are as many different towns as there are personalities looking to move there. What about San Diego county, there are many small very desirable cities in that area? Any thoughts about Saratoga Springs, N. Y., or anywhere in Saratoga county? I was originally considering Cape May and Atlantic counties in N. J., but the recent bad storms have me re-thinking that. Also, those areas often experience power outages. I’d think twice about some of the areas north of Tampa. Sink holes are common which has a lot to do with the cheap real estate. Florida is not the bargain that it once was. I loved living there but, the cost of living has escalated as the real estate market is bouncing back. If you want a low cost of living, I’d have to suggest Tn. I’ve lived in both places, and while I prefer Fl., it’s just too expensive in most of the state. Bill, Cape Cod has many retirees. I’ve lived here for 14 years and during those years, we’ve only had 3 major snowstorms although last winter was a doozy. The summers are cooler than the greater Boston area while the winters are milder. The winter of 2011 had no snow. The real estate prices are still moderate. The senior centers are quite active and the beautiful beaches are never more than a 15 minute drive no matter where you live on the Cape. We love the Cape. Can you giv e the name of places on the cape that are 50+ communities. The Cape is my favorite place on earth. I’ve always heard it is very expensive to live there. Any info would be appreciated. I am familiar with San Diego, I am in Calif a lot. It is very expensive to live there. San Diego is struggling for money, the real estate taxes are high, lots of traffic, and the summer if very very crowed, but the weather is one of the best ever. Great place to visit and vacation. Just keep in mind you need a good amount of money to live there comfortably!! Struggling with where we want to retire. One thing for sure is to get out of Louisiana. The food is great, but need to escape Hurricanes.!!! We have son who lives in Rio Rancho, NM and would like to live close to him, plus we like the mountains and the low humidity. We have looked at Santa Fe, NM; Flagstaff, AZ; and Sedona, AZ and a few places in Colorado and Utah. If anyone has lived or is living in these areas and would like to comment on how things are, it would be greatly appreciated. <$200K for 1550 sq ft brick home in a waterfront subdivision on the Florida Panhandle in Mary Esther Florida. The community is named Marsh Harbor and is a gorgeous development. There's a boardwalk down to the beautiful Santa Rosa Sound where you can kayak, paddle board, fish, or just lay in the sun and watch the boars go by. HOA fees are <$700 a year. Home Insurance runs <$1200 a year. Taxes <$2000 a year. Brick homes are easy to maintain. HIP roofs that save many dollars on your home insurance. Small yards. Quiet neighborhood. just looking for a good deal. I’m not living anywhere with wild pigs. I’m in total agreement with John, LOL……. We plan to retire in Corpus Christi, on the bay or the beach areas on Padre Island. ny feedback from the readers? Why wild pigs taste good ! Time for a BBQ. I’ve got a feeling that the OP meant boats not boars. If you look at keyboard, it could easily be a typo. IMHO. Those boars can sink a boat if you live let them on board. I heard one story about several boars taking over a boat and eating the owners lunch his wife prepared. Got to watch those boars. I not living near them. Looking for inland waterfront with an elevation of at least 3500 ft. to avoid the humidity and higher insurance rates of coastal properties. SE states only. How about anywhere in Pennsylvania? I have a wife that refuses to leave our area because of proximity to our children, but Virginia taxes are killing us. We are both federal retirees with good pensions that are fully taxed by the state. Suggestions? Pa – r u out of ur mind? Ur heading in the wrong directions. 2 mistakes IMO and my RECENT experience. 1. Moving to Pa. 2. Moving to be near the children. In order to save you a lot of headaches, money and Senior lifestyle I would respectfully suggest you do a lot of soul searching and lots and lots of HOMEWORK. Children can always come visit you and it will be cheaper in the long run to FUND their visit than move wrongly. How do I know? It wasn’t because the Bible told me so (wish it had) its because I made BOTH MISTAKES. We are headed back South to one of many better places/states to live. As a former PA resident with family in the state, PA is on my retirement list too. I’m rethinking it a little after this winter, since I got so many pictures from family members showing me all of the snow they had! I have two caveats for my PA shopping: require gas heat, and watch out for real estate taxes. Real estate taxes vary widely by county in PA. You have to be careful to (1) check if the property’s assessment is near the sales price, or you could have an unpleasant surprise when the property is reassessed as a result of the sale, and (2) make sure that you consider county, local and school taxes. I’ve seen some realtors identify only one or two of them, instead of the total. Also – gas prices are fairly high, which is something to keep in mind when considering beautiful rural PA.
Dennis – how about Delaware? Much less expensive than PA and lots of nice retirement areas…or if you really want to try to avoid the winters, travel a bit south of Virginia – North Carolina? We have friends in both states and they rave about how friendly and affordable they are. My daughter lives in PA ( in Bryn Mawr, outside of Philly) and her property taxes are astoundingly high! Hi SandyZ, any specific areas or communities in Delaware that you freinds would recommend. Was looking in Lewes Delaware for a while (close to home NJ). So many beautiful community’s but as soon as you leave them areas are run down. I know a lot of states are like that ?? There are several 55+ communities in the Dover Delaware area. Lane, our friends moved to the Newark area in Delaware -they love living in a college town! Our friends who have retired to NC chose Brunswick Forest and are so happy there! Hope that helps. Lane, Sandy Z , Tony: We love Delaware..retired here 8 years ago…so much to do and see..gorgeous clean beaches and wonderful restaurants, wineries, shopping and festivals year round. We live just above Lewes ..off Coastal Hwy. Quick 11 minute trip down to the beach area. Nice year round temps. very little snow if any. melts quickly. Thanks to those who provided info on Delaware. Hope to make a quick trip there just to see if the area appeals. If yes, then perhaps a longer visit. It always helps to have some ideas of where to look. I can usually reject an area on a quick trip, but need a second longer trip to explore. I am curious about Tony’s comment and will see if I get the same impression. I hope that I like it. I also intend to do a quick trip to SC and NC and GA and maybe even NE part of FL including Treasure coast. Love this blog! I am currently looking at a home in Lewes. The realtor told me the water is very expensive (water??) and when folks put in a sprinkler system and they also put in a well. This could be a deal breaker for me. This community is Red Mill Pond. I am on a fixed income and any information would be appreciated. I am looking at a home at Red Mill Pond Lewes DE. The realitor told me that the water was very expensive (water??) and whenmost folks put in a sprinler system they also put in a well. I am on a fixed income and this could be a deal breaker for me. Anyone with information on this?? We live in New York , (Long Island) and had many trips down to Newark, De where my daughter went to college. It is a lovely college town for students, but would not be my cup of tea for retirement. Two years ago we took a trip down to the Wilmington, NC area and loved it. It is a small city witha river walk with many restaurants, stores and activities. We bought a house in Brunswick Forest that backs up to a 8 acre pond, the 4500 acre community is beautiful with all the amenities we would want and 15 min away from Wilmington. We plan on retiring in a year until then we rent the house out, but enjoy frequent visits down to the area. I lived in Newark, Delaware for many years and agree I would not want to retire there. But have visited Rehoboth Beach and Lewes and had friends who lived in Lewes until he passed away. Looks like there are lots of opportunities now for 55+ living. Rehoboth is a great beach town, family friendly, nice downtown area for tourists and a beautiful long boardwalk. Naturally gets crowded in the summer and parking can be difficult near the beach. And summer traffic can be a mess on the weekends. But there is great shopping, lots of outlets, and no tax on purchases. There are also locations just a little farther south like Bethany Beach. If you want a mild climate it wouldn’t be a bad place to retire but for us, the climate is not mild enough. Agree that Wilmington NC is a lovely town and have looked at Brunswick Forest and liked it, but as of now there is only one bridge across the river to get to and from Wilmington, so that could be an issue. And that climate is not mild enough for us either. Forget the scenic views and look for good health care. This year, my husbands last we can’t keep up with the high cost changes. I’m chronic I’ll will 6 illness. How do I pay for $500,$600 etc Meds and eat? We planed hard for our retirement so now what? I also wanted to mention that as you age there’s just no way your not going to have health issues! Can you take cold and snow? Who can sweep the drive way? Downtown Oregon was great and we loved condo living and great medical and public transportation. That being said are you prepared for just 3months of summer? The rest is grey gloomy and rain. Chk the annual rain fall. The coast is so beautiful but over an hour away. No medical care or even decent shopping. If you chose downtown it’s lovely to walk out your door and drink your coffee! But for that you have to accept one of the largest social services I’ve ever seen. Needle exchange, run away kids blocking the sidewalk while they sing smoke, you name it and beg. Like just dirty homeless people? They start their line around 3pm for a bunk and religion. We loved this town till we went back for a visit. It’s now filthy and going for a walk after dinner is a risk. Kids hide in the parking garages and alert others of your location. Broke my heart. Will your lungs and legs work-to run -like they did in your 30’s? Nope. High crime rate. The people in charge destroyed the city and cops don’t get paid enough to risk their lives. A real shame on a perfect city!!! Can anyone suggest more places to look at in Delaware? Re: Putting in a well in Lewes. We almost bought in DE and were told the same thing by a very forthcoming future neighbor. I think the price he quoted was around $3k? Decided not to build due to other issues like flood insurance and worries about every NE storm passing by bringing water to our backyard (neighbor also mentioned this)! Mary: Look at Milford DE..Hearthstone Manor..Clubhouse and Pool and public golf course next door. Right off of Coast Highway Rt. 1..Just above Lewes. Pretty area. Lovely town with many little Boutiques, Art Gallery, and restaurants. Brand New Medical Center being built right across from Hearthstone . Will include Dr. office campus and all Out-patient services as well. So happy we chose this area..close to the beaches without the crowds and easy trip down in 11 minutes. Lovin’ Life in our Coastal DE area. Has anyone have knowledge of Sun City Anthem? It is around the Las Vegas, NV. Look at beautiful Ute Lake in New Mexico. One of few places you can walk to water and still be on your own property. Thank you, Looks awesome. Do you know of any communities – 55+ where I can start looking? Do you know of any special locations to look? My wife and I lived in Pittsburgh, South Fayette Township for over 20 years. We retired in 2014 and moved back home to NY ( Chautauqua County ) as our second home and we have a townhome in Orlando as our primary home. We spend the summers 4 months in NY and 1 month in the winter and the rest of the time in Orlando. We have looked at tons of retirement communities but at this time we are not ready to move to a 55 plus community. We have talked about giving up Florida and moving back to PA but at this time we love living in NY for the summers and the warm weather in FL is just to hard to pass up. Good luck in finding a place but I have been looking for over 2 years and we always end up back in Orlando. There are many wonderful 55+ resident Owned Communities in South West Florida — In North Fort Myers, Fort Myers, Cape Coral, Estero and Bonita Springs. I have been searching for a long time and this is the area that I have chosen to move to. Those wanting reasonable waterfront or near living, I suggest northern Arkansas. Lakes Norfolk, Bull Shoals, Beaver, and Tablerock are all nice. Tablerock is actually in southwestern Missouri, Kimberling city is on and Branson less than an hour away. Water in Tablerock is warmer, Norfolk is my favorite, SCUBA DIVING is taught in it. Norfolk has over 500 miles of shoreline, Bull Shoals has over 1100. Beaver is also nice, near Bentonville, Springedale, and Uni of Arkansas, Fayetteville. Lakes in Oklahoma are not far away. Florida pandhandle has some reasonable prices, cheap if near Alabama line, lots of small lakes, diving lakes, beach is maybe an hour away. Beaches are wonderful there, among the best in the USA. Mexico Beach, east of Panama City and Tyndall AFB is like old beach communties, beach is tiny shells instead of sand, great bay for sailing. Put in MLS Marianna, MLS Walton co., Fla , Gulf Breeze, Miramar Beach, Freeport, Defuniak Springs, Crestview, the Ft Walton Beach area, all have cheap to reasonable prices. Water Color, Seaside, the Hwy 30A area, some of Miramar, can be in the millions of dollars, but some is below $50,000. Hope this is helpful. It would be nice to live on the waterfront. While we aren’t close to retiring, my parents are. My dad loves fishing, so he would love to do that practically on his own property. Since I’ve never heard of some of these locations, I can bet that they might not be as expensive as living in famous locations on the beach. to Larry, I have moved to FL from AZ, presently renting in TheVillages, and I too am looking at te areas you mentioned, North Fort Myers, Fort Myers, Cape Coral, Estero and Bonita Springs. In particular Pelican Preserve, I have found high CDDs here, high HOA, Community fees, recuring fees can be $10K at least, plus taxes and the financing on a house if you go that route. If you know of a 55 plus community with out such hi fees, please let me know. Jean, if you’re willing to forego the high costs of a 55+ gated community, you’ll find lots available to like on canals in Cape Coral. At reasonable prices. Cape Coral has a fantastic New Residents Club in which you can make instant new friends. My Aunt recently just built a home just north of Naples in Bonita Springs at Spanish Wells. She seems happy there. It is a golf course gated community and the fees are not as much as I pay here in Washington, DC. 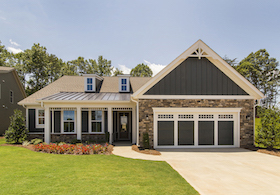 Toll Brothers built their home with a pool, spa and outdoor kitchen. She sold a villa she had owned for fifteen years in Naples–about two miles from her current location. She only lived there six months of the year. She is close to Whole Foods Market and Trader Joes and not far from the shopping and cultural activities she enjoys in Naples. The Cons: So far, the heat has been the main issue–they knew that when they elected to stay year round in Florida. The contaminated canals and the water issues have been a bit bothersome as they are very much into health and organic living and they live in Lee County which was affected. In season, (Mid October- Early May) the traffic rivals Washington, DC near gridlock conditions and one has to make dinner reservations three weeks in advance at the best restaurants. Many people are really older and driving around with them can be challenging. They need more walkable communities down there. My aunt could get a golf cart for some activities, but apparently they can be a fire hazard so she is opting out of that for now. It is a toss up but I certainly do not see myself ever retiring in Florida–we have enough traffic up here. I do and will visit in the winter months and Holidays. We are looking at Spring Creek in Bonita Springs as there is very quick access to the Gulf. Does anyone live there or have any information on the community? We rented a home in Cape Coral a few years ago. Many homes for sale; under-water, foreclosures, bankruptcies. Liked the area, but you have to cross the toll bridge to Ft. Myers to get to most places. Also. a lot of issues in Cape Coral on development, water authority, crime. You may find some nice places in Bonita Springs, but the gated communities are very pricey. As for traffic, our experience is that it gets really bad in January and dies back April 1. We always try to not go to Naples during that time. We snowbird in Estero 6 months, from October until April. We own in Cypress Bend, a 400 unit 55+ community in Estero. Estero recently became a village and a separate entity from Lee County. They have seen an acceleration of building in the area, which will continue. We find Estero close to shopping and activities, and easy to get to the beaches. Cypress Bend is a RV condo association, but most of the homes are manufactured park models. Our condo fees are $330 a quarter, which includes garbage, sewer, water, and Comcast cable. We have a heated pool, 4 shuffle board courts, 2 bocce ball courts, horseshoe pits, and two tennis courts. The community center has a meeting hall, kitchen, exercise room, library, billiard room, and laundry. In some of these communities, you don’t own the land. When you don’t own the land your home sits on, the owner of the community could sell, and you have to leave. It’s happened in some smaller communities on prime real estate. We are going to grow old, older. Medical facilities and health care costs should be top consideration when preparing for retirement. Also accessibility to optional transportation when we can no longer drive ourselves and walkability safety should also be considered before any “scenic view”. Weather effects can be hard on the body when relocating from North to South or vice versa. Talk to your family doctor about this before any major move. See if there is enough medical Specialists in the area. And don’t forget City taxes helps to pay for emergency services, like ambulances, police, and fire departments. All these things are an expense to factor in when retiring. I’ll take my scenic view any day. I don’t want to be sitting looking at a wall waiting to get old or need medical care. And Tom, you obviously were in Cape Coral during the housing crash. Things are rebounding quite nicely and I’ve only seen one short sale listing in the last year. And I don’t know what area you were in, but crime is simply not an issue where I am. And you don’t really need to cross the bridge. Lots to do in the Cape. Most of us hardly ever cross the bridge during the season. Too much traffic over there. Naples in season is crazy madness. Glad you are happy in Estero, but gated communities are not my cup of tea. Nor is the traffic there. I guess there’s something for everybody. Would appreciate hearing from anyone who has had any experience with Murrells Inlet, SC (Myrtle Beach area)? 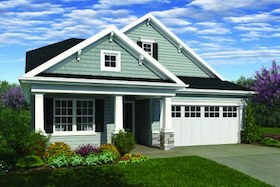 I am currently looking into purchasing a home in the Seasons at Prince Creek community. Any information, experiences would be appreciated. Linda – It makes so much sense AND I really LOVE what you said, ” I’ll take my scenic view any day. I don’t want to be sitting looking at a wall waiting to get old or need medical care.” What area of Cape Coral is your scenic view in? Wishing you many healthy years of happiness and scenic views !! I’m in scenic SE Cape Coral on two intersecting canals. Scenic views are good if they are safe enough to walk. Walking keeps people healthy… some of the above areas in the article have a high crime rate. Too each their own! Thanks Linda … that sounds wonderful !! I have a friend of a friend that lives in Cape Coral, but not on a canal. She’s been in her home for more than 5 years and is happy living there as well. Going in an entirely different direction, I’d love commentary about retiring in coastal areas of New Hampshire and Maine – pros and cons! I’d especially enjoy hearing from those who are living in single-family homes in maintenance-free, 55+ communities. Thanks so much! Any one live in On Top Of The World in Ocala What’s the real deal There? PRO AND Cons thank you…. You may want to check and post under the Ocala Fl section under the Forum too, for additional information. I need an area south of DC that has good weather and great medical care. Does Myrtle Beach and some of these costal areas of the Carolinias have good doctors/hospitials/ university centers for medicine? We’ve been looking at NC on Ablemarle Sound. We’re west coasters from an inland area between SAN Diego and LA. We’d like a change and a place where having a boat is convenient but not sure we want the summer humidity and bugs. Every place has its drawbacks and our present location has TRAFFIC that makes getting out a pain. For us the problem with Florida and far south locations is gators. I’m in abject terror of them yet no one ever mentions them in these posts…why not? Laura C occasionally gators have been mentioned–I for one have a fear of snakes and Florida, has many venomous ones that terrify me–some are native and others are imported and are taking over the terrain. I will not be moving to Florida for that reason, my Aunt lives on a golf course community near Naples and she loves to walk in the early morning hours say 5:00AM and I fear it will be only a matter of time before some comes across one. Laura C. & Jennifer – have you considered the possibility on living in another part of Florida? I live in Tallahasee, FL & have never seen a gator in the almost 50 years I have been here. If you want to see them you’ll need to go down to Wakulla Springs or far out in the woods near a lake. I also have a terrible fear of snakes & have seen an occasional garden & oak snake (non-poisonous) but never a poisonous one. I have heard of snakes out in the woods but I don’t go there. If you live in the city you shouldn’t have any problems. We do have four seasons here with a very mild winter but a hot & humid summer. We are within an hour’s drive to the Gulf beach. Does anyone live on The Farm near Calabash, nc? Albemarle Sound is a lovely area. They probably don’t have gators, but I’ll bet they have snakes. We have a shy, harmless black snake who is rarely seen but takes good care of policing the property of other varmints. Again, not too sure the poisonous snakes are too fond of urban areas. As for gators, if you live in an urban area with good concrete seawalls on your canal, they’re a nonissue. Haven’t seen one yet. You’ll definitely get humidity in Florida! Very different from San Diego which has almost the perfect climate. I’d recommend spending some time here first. In the summer. And if you’re boaters, look for a boating community. I live in Cape Coral which has somewhere around 5,000 miles of canals. You can park your boat right outside your door. I live in south Pasadena FL, about .05 min from St Pete Beach, never seen a snake, gator and we rarely see bugs, we moved from Northern Nevada and never looked back. We love it here even the humidity, came from a cold dry area and our skin likes the humidity, no more dry itchy skin, best of all we can breath easier. Could you provide some of your likes/dislikes re the Cape Coral area? This location continues to pop up as a good place to retire to and I’m wondering if it’s worth making a trip to see (am presently living in PA – not fond of it!). Am looking for activities that would be good for a retiree; maybe volunteering with animals; shopping and good all-around people. And how long have you been living there and what about renting vs buying right away? Am sure there are other things I should be asking but am hoping you can fill me in with your experiences. Thanks! for K L Fulford: I bought a condo here a couple of years ago. I had visited the area often and liked it. If I had unlimited means, I would have wanted a house on the Gulf or the river, but that wasn’t in my budget. A condo on a major canal with an intersecting canal that leads to the Gulf via the river was a good compromise. I would definitely recommend visiting first. I visited a lot. Then when I got serious about relocating, I rented a place for 6 months. I did commute back and forth to Minnesota for a while, but that got real old fast. Minnesota house is on the market and I’m full time here now. Renting first allowed me to get a sense of where in the community I wanted to live. Cape Coral is geographically large. I discovered that most of the action was in SE, so that’s where I bought. Many shopping opportunities in the Cape and MANY more across the bridge in Fort Myers, Estero, Naples, etc. I compare it to having the benefits of a small town within a larger city. I know my mailman by name and he knows me. That would never happen up north. In two hours or so, I can drive across the state and leave on a cruise from Fort Lauderdale or Miami. Last year when I went to Europe in the fall, I rented a car at the airport here, dropped it in Miami, and caught a nonstop flight to Barcelona. One-way car rentals are the norm here and are not charged extra. Cape Coral is one of the most welcoming communities I’ve ever lived in and I’ve lived all over the world. Everybody here is from someplace else. There is a very active New Residents Group which will provide you with an endless source of new friends, MANY activities, trips, etc. At our monthly breakfast meeting this morning I took some neighbors for their first meeting. 4 of the K9 officers from the police department were the featured speakers (together with their dogs). It was fascinating. We collected food for the local food bank and toys for Toys for Tots. Last month over 500 pounds of food was collected by the group at the monthly meeting. There’s a jazz group forming. The gang that builds a cardboard boat for the cardboard boat regatta every year was soliciting new members. We play bocce ball every Wednesday. You name it, you can probably find a group interested in doing it. I live in New England and thinkmabout moving to Florida, but am reluctant to leave family and friends. I am divorced, so would be going on my own. For those of you who have left family behind to move to a warmer climate, how often do you see your loved ones? I too am living in PA. I just moved from Colorado to take a new job at a conference/retreat center outside of Philadelphia. It has been a very poor decision on my part for many reasons. Being widowed for quite a long time, I have recently been researching other areas where I can move to and really settle in. My husband and i lived in Bonita Beach for 4 years, so I’m familiar with the climate issues and the Cape area geography. That was a long time ago, so I don’t know how much the area has changed. I am not ready financially to go into full time retirement and one of the biggest things I am having issues with is finding affordable rental housing. My husband’s death and his fight with cancer really took a toll on my finances. I’d love to find a group of people that would be work towards a compatible shared living arrangement and the Cape is one of the areas that seems to keep popping up as an attractive area to return to. KL – perhaps you’d be interested in corresponding a bit off of this site? There are so many of us who are finding it more and more challenging financially to be on our own and needing a community that is of like mind in terms of support systems for each other. You certainly supplied a great deal of interesting information. I like the idea of the New Residents Group. When I lived in SC, they had a Newcomers Group for Women and it was a great way to meet people and get involved with luncheons, trips, etc. One of the things I failed to ask you was how do you find the health care system in your area? I’ve not heard all good things about health care coming from other Floridians. Did you find it difficult getting acclimated to the weather there considering you moved from Minnesota? It would certainly be my intention to travel to the area and check it out but don’t believe I’d want to do it until late March (weather issues here). That said, where should I start? Do you have a name of a real estate agent that you feel comfortable recommending? Which airport would be most convenient and hotel/motel recommendations? My intention would certainly be to rent first but I have two cats and that could present a problem even though I could provide references from a previous rental. I’d like to get on with this phase of my life sooner rather than later. My thoughts are to put my things in storage and sell this villa I’m presently in but I need to move somewhere before it’s put on the market – I’m hoping Spring to get started. Also thought about checking into Venice FL or even Mt. Dora – I just don’t know – I’m all over the map. Unfortunately, I can’t spend a lot of time on the road and check out various areas the way a lot of couples on this site are capable of so ANY information you can share is greatly appreciated. Thanks so much!! I would be more than happy to continue this discussion off this site. You can try me at fulf1213@gmail.com. Another thought – if you have a Facebook account, search for a group called “Elder Orphans” and join that group. There are a TON of women like us in the same boat and you might find it interesting to read the posts. KL Fulford: If you’re looking in the Cape Coral, I used an excellent agent who I would be happy to refer you to. Have sent others and they were pleased. But they deal in sales, not rentals. I’m not sure how one goes about finding a rental. My sister found mine for me. That person rents for a minimum of 6 months. But it’s a no pet place. Most rentals happen by word of mouth down here and most places have minimum rentals during the season. Short-term rentals will be very expensive during the season if you can even find them. Perhaps Google it? The nearest major airport would be RSW, Southwest Florida International Airport. I would just book with whatever hotel chain you regularly use. I have friends in Venice and they like it there. No canals, however. Mt. Dora is in the interior. That’s a whole different ballgame. Saw your mention of interest in Mt Dora, FL. Did you see the Dec. 6 TopRetirements daily email? Scroll towards the bottom for the article on Mt Dora. Based on what you are looking for you may find it informative. Thanks BeckyN – I did read that particular article on Mt Dora along with others that I’ve turned up. It’s just a fishing expedition at the moment. As mentioned by many, you missed the whole western half of the country. What about Lakes Mead, Mohave, Havasu, the Gulf of California area, all those lakes in Northern California, the rivers and coastal areas of Oregon and Wahington, on and on and on. I live in Arizona, but could just as easily live in Nevada and have a similar environment. I live within a few miles of several lakes and a major river. My boat insurance is low because I promise not to take it anywhere near the east coast! Fuel has been under $2/gallon. My tax load is not bad. While usually almost, or actually, on the water, I have not had a mosquito bite in years. I have not seen a palmetto bug in years. I think I have only seen one cockroach in years. In six years I have not had an ant in this house and I don’t trat the place with poison. Crickets I have, but maybe they are lucky like the Chinese suggest. I will grant that the fishing overall in the southeast is probably better, but it is still pretty good here! Kind of strange that not even one western USA location made it into the top ten. retirement/relocation areas… any insight into those to towns? We are used to country living, i.e. no neighbors in site or sound, but near enough to medical, shopping, entertainment, and water views/waterfront would be a major plus. NOT into the winters of the northern states. Low cost of living, low crime. Is this a pipe dream, or are there such places in the US? Becky, NPR radio just did a piece on Idaho. You might want to look into that state. Low crime and much of what you are seeking near lovely lakes. Becky, that’s a pipe dream. Our little piece of paradise is Punta Gorda, Fl. We are across the bay from Pt Charlotte. We have amazing dining opportunities. Waterfront is on canals over 30 miles as the town developed many parks on bay front. There is a separate walking/bike path circling the town. If you want brick/mortar, there are canal homes and condo’s. 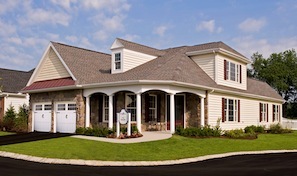 If cost is an issue, we have multiple modular home communities. We live in the newest, Ventura Lakes. Wonderful place with great people. Large water lots with both double wide and triple wide. Homes sell quickly! Gated. Your development looks lovely. What, if anything else, do your land fees cover? Wife & I lived in Punta Gorda area for 10 years.Lovely place BUT initial Hurricane in 44 years “ate” our house after which house insurance cost & hard to obtain was in the $$$$. Hard to see living in ANY part of Florida again. Good Luck. I get errors every time I attempt to take your quiz for retirement location ideas. What’s up? Admin Comment. You should be able to view the results in the email the Retirement Ranger sends you. If you didn’t provide a valid email or it has changed, you won’t get the email. Likewise if you created multiple logins the system will go haywire. You can try logging in via the Help button at bottom of page and correct your email. Unfortunately the “View Results” link has a bug that we are in the process of fixing, so that option is not available. So the only way to view your results is via the results email. If you are still having problems, let us know and we will try to help. Leila I cannot get Retirement Ranger to work either. I just get a pink page that says: CHttp Exception and Page not fo….I keep reporting it but they can’t seem to fix it. It just won’t work no matter what I try. Admin comment: Sorry you are having trouble with the Ranger. A number of people have reported a problem and we are working on it (works for some people but not others). Will update here once we have it back working properly. Becky S., it’s not a pipe dream! We lived in Northern California in the foothills of the Sierra Mountains and it was very close to what you described. We were about 30 minutes from medical and larger shopping choices. We didn’t lock our house in 27 years, couldn’t see a house from our house (except in winter when the leaves were gone). Pick the elevation that works for you for your temperature. We were at about 2300 feet. Got the occasional inch or two of snow, play in it for a day, then it’s melted. This area is between Sacramento and Lake Tahoe, but the Sierras continue south of where we lived also. We moved away two years ago, and it broke our heart. As we aged, we no longer wanted to take care of 5 acres. it is a lot of work. Also, we had family that needed us in San Diego. Little postage stamp sized properties for well over half a million dollars! Oh my God, the non-stop sirens here! Never heard them much, if ever. There is fire danger in the mountains, and with the recent drought it was especially tough. You must keep your property clean, not let the weeds grow. We had about 500 trees, oak and pine, as well as some fruit trees and grapes. I miss it every day. Good luck to you. No one mentiones Jacksonville, Fl. It is close the the water, larger city, good medical, they have a Mayo Clinic, Cooler (cold) up there, there is a Del Webb near the water, I was there several years ago, any one knows what is happening now in June 2017. I bought a lovely home in Clermont, Fl, Lennar home, good price, fees still reasonable, but I can see them going up as it is building up and owners have to “buy” the club house,, did no know this when I bought? Not to far from Mt Doro, I have neer been there, any one know about that, I am single, kind of makes it hard here as the singles live in the villas and I have a house, so somewhat isolated. Central FL rains a lot on the summer. Rented in The Villages for a year, quality of home not up to standards as Lennar is. Every one mentions Cape Coral, (Linda) and the New Residents Club, what community is that associated with? I am not on facebook, any other contact for ELDER ORPHANS? Becky S — what you described sounds like much of NC. You can’t describe the taxes as especially low, but they are lower to mid from my experience. We live in the heart of the state only 20 minutes from Chapel Hill, mostly can’t see or hear neighbors, no crime to speak of other than the politics. From our area to the foothills, there are many areas the fit your description. Similarly in southern Va and SC. Avoid the coasts (potential for flooding) and higher costs — most of these areas are quite temperate — humidity increases at lower levels. Jean, the New Resident Club is for all residents in Cape Coral. There are not a lot of gated communities here. We looked at Jacksonville within the last year and it has much to offer. Culture, entertainment, medical facilities and proximity to the beach, I.e. Atlantic, Neptune and andJacksonville beaches. We’re looking at retiring in Amelia Island, just north of Jacksonville. More of a small town feel and more receptive to retirees. We will still get the benefit of living near Jacksonville. Just a quick thought about the Retirement Ranger issues. Since you said it works for some people and not for others – Could it be the browser? I had an issue with another website and after much discussion back and forth, when I tried using Firefox instead of Explorer – no more issues! I also cannot use the Retirement Ranger. I have tried Safari browser and Puffin (a browser with flash). I get a CHttp Exception/page not found with a lot of lines of code. Richard – Have you looked into housing on Amelia Island? Any areas that are affordable? Has anyone any thoughts on St Mary’s Georgia? We have looked at multiple areas, communities, resales and new. It’s the age old, “What does affordable mean?” On island is very pricy, small lots, few amenities but close to the ocean. The mainland has a myriad of communities, some based on golf, some on water access, some just offering mutual amenities, bigger lots, less pricey. That said all involve a “commute” to the ocean and downtown. The most affordable are the communities west of 95; still good communities but a real hike to the ocean and downtown. We are a “divided” couple; I want on-island and would like to build, my wife likes the mainland communities and resales. Hope this helps. for Mike, I lived in Surprise, AZ about 45 miles west of PHX. He weather is hot and dry in the summer and dry in the winter, quite a nice small town with all the advantages. We’ve been there 4 times over the past 3 years, the latest in May of this year. You’re right about both the downtown and the ocean breeze! We hope to retire there early next year. Good luck in your journey to find your special place! Thanks for the reply Jean (re: Surprise). We have chosen Prescott, AZ to move to. Anyone know anything about Dunedin Florida? St Petersburg and Sarasota Florida. We would like to retire to an affordable town, walking distance to the town would be great-I could be dreaming about that. Loved the feel of St. Simons island Ga and Ameila Island Fl. I am in the process of relocating and one site I like to look at is AreaVibes. it gives you a synopsis of the city or town you are looking at. Not perfect but a start. We were in this area last January and Sarasota is expensive, St Petersburg is less but we fell in love with Bradenton between both, Not the least expensive, but a nice area and not too far from the beach. If you go there check out The Tides Restaurant. If you fly there check the airfare and rental car prices for Tampa and Ft. Myers. We are retiring to Amelia Island, FL. We looked at all the area you mentioned on the Gulf Coast. Nothing there with the feel we wanted. We loved Indian Rocks Beach but you have to buy into Sarasota and/or Largo and we didn’t. Melissa – I’ve been on a quest to find my ‘perfect’ beach town for quite a while…. I’m still looking….. I too loved San Simon GA…. .however; properties are unaffordable for me on the Island but did find reasonable rentals and condos for sale in Brunswick GA – some very close to the causeway to San Simon. Amelia Island was too crowded for me ….. I also researched Dunnedin FL and liked it very much….. seems to be a ‘walking’ city and I loved the proximity to the Clearwater Beaches – also enjoy the Indian Rocks beaches….. researched other places in FL and liked Tarpon Springs and Venice as well …. both are charming and beautiful……… My dream destination town is Encinitas CA but very expensive …. however, there are very good studio rental prices nearby in Carlsbad CA…..I’ll be making another cross-country road trip to CA later this year …. plan to stay through Dec-Jan and also spend time in Coachella Valley in the desert where small apartments are also very reasonable….. Good Luck ! …..
JEFF: Another Fairhope question: I am constantly getting real estate ads etc from agents in Fairhope. Could you recommend a decent RE agent in the area? Would like to know if there are any communities example: like Del Web or Osprey Cove etc…….come down for a weekend presentation at a nominal fee? I have done quite a bit of research on Fairhope and the surrounding area……but have not come across an affordable ” contained” community. Affordable: $200,000 approximately. Intersted in a single family dwelling…nice neighborhood. Check out Flagler Beach, FL. Areavibes gives it a 75 (“very livable”). Areavibes awards Flagler Beach an A+ for weather (I live close by – it does get hot in the summers, but always a breeze by the ocean), median rent is $1007. It’s funky, old-time Florida – no high rises. Very walkable. If you go to Search and Search Retirement Towns by state, you’ll be able to find information on Fairhope. See Search in the top navigation, https://www.topretirements.com/Browse.html. You can also check the forum and post questions there. I ended up purchasing a home on a canal in Port Charlotte. Visited and shopped real estate for a few years before purchasing this past May. Expect to retire sometime next year and leave the great state of Ct. and all it’s taxes and political mess far, far behind. If anyone wants a great rent for the next year, let me know! We are retired snowbirds from IL and winter in FL every year. Would you be interested in renting your home for a month in Feb 2018? I guess you could reply here if you would consider our offer and perhaps we can set up communications by phone or private email. Sorry for the lapse in time in the reply. House is unfurnished so monthly rentals will not work. Was hoping to rent it now through September 2018. Good luck with your search though ! We purchased in Port Charlotte, Florida right across the bridge from Punta Gorda, FL, and have just loved it. We looked worldwide for about 15 years, and what swayed us was the healthcare, the wonderful climate, the overall cost, proximity to an airport, and proximity to cruises. Yes, we chose our house carefully. We ensured it was over 66% stucco, and well above normal flood zone. We ensured we had hurricane windows. And, we are thrilled. Everything is even better than expected. We have a boat on our boatlift and can walk to the beach. 5+ more beaches nearby including some of the best beaches in the world. Top fishing in the world too. And, with a house not in a gated community, there are few fees. Dozens of nice golf courses open to the public. Need we say more? Well after living in Clearwater,Fla for 10 years we moved. Couldn’t handle the bugs, daily thunderstorms and the Humidity. And we only experienced a small hurricane warning in all that time!! Many people will be rethinking about retiring there now after all these horrific storms Not every one can afford to lose their homes….Need I say more??? I live in Cape Coral, FL. We survived Hurricane Irma just fine. No major damage. I am not re-thinking my decision to retire here. Enjoyed seeing how the community rallied to help the less fortunate and those without power. Nice to be part of such a community. My Aunt lives in Naples, Florida near Bonita Springs. She has decided that they will stay for ten years, year round and if a major hurricane comes through again that they will move north and out of Florida. They got through Irma, but their lives will be disrupted for many months. The deductible on their insurance is $10,000 for repairs to their home and pool. The pool cage was torn off and now rests on the back of the home and outdoor kitchen on the lanai. To me, insurance is good, but how many of these disasters can an elderly person sustain even so. Their home is well built by Toll Brothers and so the inside had no damage. The windows could sustain the high winds, but they went nearly one week without power and A/C.They have resolved to get a generator ASAP. I now have decided I am not moving there period. What does one do if they cannot afford the high deductibles?? Actually Dunedin is the only town I liked in that St. Pete-Clearwater area. More of a small town feel……more of a natural environment. Lynn S and Carol I’m also interested in specific Port Charlotte area that Lynn was talking about, did you ever hear from her? As winter is approaching, I’m once again thinking of a little Florida condo on the coast. While I hate the thought of walking up flights of stairs, I’m wondering how those on the second or third floors faired during the recent storms. Is flood insurance necessary? Any info would be helpful. To Lynn S we would love me to check out your area in Port Charlotte, can you give more details? I am retired and live in Maine. I write this as the snow is falling (again). I spent a week in the Villages in Nov. and feel like being near the coast suits me better. I liked what others had to say about Cape Coral, Port Charlotte, and Bonita Springs. Have friends in Venice, that’s nice as well. I am looking for other women who have made the move to one of these places and can discuss its amenities and pros/cons. The Newcomers group sounds helpful as I’m looking to make new friends, play pickle ball, and join clubs without breaking the bank. Can anyone recommend a good realtor for Cape Coral or Port Charlotte? And, do you find these places singles friendly? Sherry, my Aunts live in Bonita Springs, just north of Naples-literally across the road. They lived in Naples up to two years ago, and love it. Hurricane Irma was a category 5 and luckily they were not near the coast and their insurance did cover the damage–their pool cage was torn off the house and they just had some minor roof damage. However, the deductible on their insurance policy is $10,000. That is fine for them this year, but they could not sustain that expense several years in a row. The pool cage will be back in place in January 2018. They live in Spanish Wells and the community took care of the lawn and plantings. Their home is still under warranty so if anything had failed they were covered. The house has all the latest bells and whistles so the hurricane proof features in the roof and windows worked thank goodness. All that being said, it is a lovely place and the people are very friendly. There is a lot of restaurants and things to do all along Hwy 41. A nice short drive to Naples and to Ft. Myers also offers more options in the arts and live theater. Sherry, I find Cape Coral to be quite single friendly. There is an active singles group within the New Resident Club. We’ve just started a pickle ball group, but court space is very limited in Cape Coral–they haven’t got the message yet. However, there is a very active bocce ball group and there are wonderful courts in southeast. We decided on the west coast (nature coast) of Florida, near the small town of Hudson. Only 45 minutes North of Tampa and close to hospitals, shopping, etc. Yet, has a small town feel and 5 minutes from the coast. Too many things to list, kayak, fish, beach, golf, parks, hiking…etc. This is just far enough north to avoid major hurricanes. Gated 55+ community with great ammenities, and low cost of living. Ed: Can you name the community in Hudson you live in? Sherry, I used Chuck & Randi Lombardo. They were excellent. 239.292.4827. I thought I posted this yesterday, but the post seems to have vanished. I currently live in San Jose CA, I’m looking to downsize to area that is waking distance to town within small town environment. I’m looking to rent first in few differant states before I buy. Florida was 1 due to Cruises and flights to Europe is cheaper but not near hurricanes, any towns to share? Tennessee is another choice due to Nashville , Austin Texas or San Antonio for lakes and ability to travel again not in hurricane areas? Being single it’s important to have a town that has activities any suggestions? Anyone who live in these area if your open to renting out a room would be ideal. I have 2 lil dogs less than 9lbs. They don’t bark and are potty trained. They stay by my side don’t roam the house. I’m over 55 looking to start my next chapter . Try the Charlotte, NC. metro area. Live just across the border in SC so as to take advantage of lower taxes than NC. This way you get big city amenities, activities & healthcare but pay at lower cost. CLT is a big American Airlines hub so flights to Europe/Caribbean is no issue. You get 4 season weather but not brutally cold and you are too far inland for hurricanes to cause wind damage. If Charlotte is too cold then try Jacksonville, FL where you get 4 season weather but not the sultry summers of south FL. My only problem with JAX is it is not a hub airport city (reminds me of San Diego – huge population yet middling airport) so flights to Europe/Caribbean will require an extra leg in most cases. Ann, as someone who lives in sultry south Fl. unless you are on JAX beach forget JAX for not being as hot. I can tell you, that Orange Park Fl is 16 miles from the beach and it is worse than sultry south Fl in the summer. JAX has experienced a huge expansion and the houses are sucking up the breezes and fresh air. That is what happened in South Florida. Used to be west south Florida would benefit from the ocean breezes, no more. But with all said at least in JAX you do you get see and benefit from the 4 seasons which you do not in South Florida. It is one month of 50 to 60’s then spring like from Feb to March, April to May hot then unbearably hot from June to end of September. Back to hot by mid October to pleasant in Nov and December. No fall and any spring weather flies right past your nose. Also if you hate traffic JAX is backed up in the mornings, lunch times, 4 to 6 pm and holidays. JAX is not a retirement community. Ann, if you don’t want to be in an area that is subject to hurricanes, then Florida is not for you. The entire state is subject to hurricanes. Having survived Irma last year without too much trauma, I don’t see that as a problem, but if you do, you should cross Florida off your list. Florida is the place to be if you like to cruise frequently. Flights to Europe will require you to go through Atlanta or New York or Charlotte unless you drive to Miami. For example, the last time I flew to Barcelona, I rented a car at my local airport, dropped it in Miami, and hopped on a nonstop. I’m going again in May. This time I don’t feel like driving to Miami and will leave from my local airport and connect to a nonstop flight in Atlanta. You will also find the climate in Florida far different from that in California. Far more humidity. The interior is very hot and very humid in the summer. The coasts are less so because usually there is a good breeze. Good luck with your search! I will be retiring in 2 years. My wife passed away several years ago. Having lived on Long Island, NY all my life I developed a fondness for the water. Living “on the water” was beyond my means. Now that I will be retiring soon I am investigating the possibility of selling my house and moving to Florida and living “on the water”. Instead of buying a house I am considering buying a boat, 30′ – 35′ and parking it in a marina and living on that. I have spoken to several marina’s that permit on board living. They all have shower facility’s, laundry rooms, restaurants and barbecue areas. They provide electricity and cold water. Rental of the boat slip with the utilities is much cheaper than renting an apartment. I am looking for any feedback from your readers who have done this. Robert, I haven’t done that (though for several years we had a boat on a lake). I just wanted to wish you the best in doing what I have always considered a very attractive way of life. My brother-in-law used to have a 27′ sailing boat that we were invited at times to share. A bit small for living, but I could truly see the attraction. It gives you a different view of big storms, but we all have to deal with various concerns. Good luck! On our recent trip to Seabrook Island, SC, we met a woman in nextdoor Bohicket Marina who lived on a pontoon houseboat with her husband. The boat was fully equipped with a galley, head, and shower. They had lived on the boat for several years and were ready for something new. The boat was for sale for $156,000. Not sure of the cost of the slip rental. Not a bad option, perhaps, for those unsure of where to retire on the water. Kennedy, we would love to find an affordable place to retire coast side somewhere between the SF bay area and San Diego. SF bay area has become a high priced ghetto unless you are a millionaire. It appears you have done some research on the Cali coast. Our ideal place would be ocean view, walkable, low crime, mid-range taxes and insurance costs, local medical facilities, suburban. All suggestions welcomed. deede, if you find such a place–let us know. It sounds perfect and what many people would enjoy. Hello. A number of people were nice enough to respond to a Comment from Ann, who was looking to relocate as a single. Many of the responses suggested inland areas, so to avoid getting seriously off track here we moved those to a more appropriate Blog. Here is where you can find those suggestions, all good. Dee dee….have you thought of northern county of Sandiego. We live in Oceanside. I will be selling my condo soon. They are selling in the mid 200s. It’s a coastal town and we are just 5 mi to the ocean, never have to use the AC and very little heating needed either. Shopping just a mile away and close to some missions. Ed you never did answer about 55 over community in Hudson FL? I’m heading there next week and would like to check it out? Checkout both Heritage Pines and Timber Pines, there are some others as well, depending on your price range and specific interests. Both of these are off of US 19, between Hudson and Spring Hill. The Oregon coast is much cheaper overall than where I live in NW Washington, DC. A consideration I have is that I bought here 21 years ago and could not afford to buy here now. I am not relegated to a car here and can walk to restaurants and shops and the grocery store. My HOA is very high but as I mentioned in an earlier post, it covers everything except my internet and phone. I do realize the fee will only go up. I do not use cable TV. We have history here and free museums, Amtrak can be taken to New England easily from Union Station , and lots of public transportation is available via Uber, Lyft, taxicabs, buses, Zip car and Cars2go. If I move to Oregon by selling my condo and cashing out my equity, the HOA where I have been looking does not include the electricity, but all outside yard care and other amenities are covered. I would have to drive to the grocery store, no delivery services at the beach (great business idea!). There would be other adjustments in spite of cheaper prices…so I have to weigh my considerations carefully…I am a Libra so that is part of my nature LOL. A positive is that I can have a dog at the beach which I cannot have where I currently live. I, too have travelled a lot primarily most of Europe, Canada and I lived in Cairo, Egypt for six years which was a highlight for me. I love festivals and farmer’s markets but I would get bored just going to the casinos. Walks daily on the beach, the prospect of being able to have a dog ( mini-goldendoodle I hope) are very alluring but I also live theater, opera and the symphony and ballet. I would most likely need to drive to Eugene or Portland for those activities. I can shop for what little I need on the Internet. I looked at Brookings and it looks interesting Coos Bay I have not yet checked. Have you finally decided on a spot for yourself yet? Keep us posted….the process is certainly interesting. I enjoy reading about everyone’s search strategies. As a fellow culture buff, we love Ashland, Oregon which is a small city with big city amenities and sophistication, and vibrant art/theater/film scene amongst abundant natural beauty. Besides, it is probably the sunniest, driest spot in Oregon since the city has a Net Zero solar-powered master planned community. Ashland also has a nationally known 55+ community with assisted living included. We opted to acquire a 3 B 21/2 bath house in the MP community which has a 19 mile long bike/walk path and a dog park right in the backyard, and a community garden. The con is median housing about 435k. To all who replied to my post, Thank you! I had NOT thought of Ashland and will look into it as well as see if my brother has been there. Is it high desert? It may be a bit pricey for me, but I only want a small condo. I will see what comes up in my research, sounds like a possibility to me. Hello to everyone. My husband is finally getting ready to retire soon after 29 years in law-enforcement. We live in Florida but are looking to find an active over 55 retirement community with a waterfront view. It doesn’t have to be on the water just a view of some water. It can be the ocean, the girls hello to everyone. My husband is finally getting ready to retire soon after 29 years in law-enforcement. We live in Florida but are looking to find an active over 55 retirement community with a waterfront view. It doesn’t have to be on the water just a view of some water. It can be the ocean, the gulf, A nice lake or even a big mud puddle. We’re open to Florida, Alabama or even Georgia. Condos, townhouses, manufactured homes, small houses, are all welcome. Our health will allow us to do yardwork and upkeep on our yard. We have been searching for weeks on the Internet. Any suggestions would be greatly, greatly appreciated! From everything I’ve read, it sounds like this is the place to find some answers and direction. Thank you in advance for your help! God bless. If you go to the topretirements.com website you’ll see the Retirement Ranger in the Menu. You can check off all the areas and priorities you’re looking for in a retirement home and the Ranger will come up with a list of possible choices. I just moved to Boca Ceiga Bay which connects to the Gulf. It is a mile or 2 from Madeira Beach but address in St Petes. It is a 55+ active community. Many younger Senior are moving in. My back yard is the Bay. Cathy that area looks nice, what is the name of your community? Rogers, Arkansas has quaint downtown with brick streets and lovely architecture. Just minutes away is Beaver Lake with over 400 miles of shoreline, limestone cliffs, Ozark Mountains. Northwest Arkansas also has Bentonville(Crystal Bridges Museum, cool downtown, and home of Wal-Mart Corporate. Fayetteville has the University of Arkansas and Botanical Gardens, Springdale has Ice Rink, Rodeo, Minor League Baseball Stadium. Bike trails are everywhere, area is beautiful, 4 mild seasons.